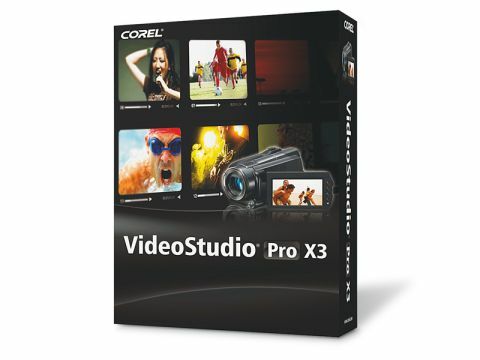 Corel VideoStudio Pro X3 has had something of an overhaul, adding a great many features and making it easier to use. When you load up the suite you're asked whether you wish to choose Easy Edit or Advanced Edit. Choosing the former loads a completely different application called VideoStudio Express 2010, which is a great choice for making simple edits and creating quick videos. However, the same menus are also in the Advanced version, so many users are sure to often bypass the basic version. The main interface of this suite is built around sections titled Capture, Edit and Share, but it is the Edit section that has seen the most remodelling. Here you can view the clips you've imported, as well as the effects, filters and transitions on offer. The new layout is simple and easy to use. It's not just the interface that is new, as you'll also find a range of new tools. We really like the new picture-in-picture effects – they take time to master, but the results are well worth waiting for. Then there are new filter effects, such as AutoSketch which gives any chosen frame a hand-drawn feel and RotoSketch which adds a greyscale effect to videos. When it comes to exporting your edited videos, the Share tab lets you create files for DVD and Blu-ray, as well as for online use. Full support for a range of HD formats from import to export is also included. What we really like about this latest version is how much smoother the whole process feels. You get the sense that Corel has been working to not only streamline the editing process, but also the time it takes to render video. With support for quad-core processors, as well as more emphasis on the laptop's GPU – especially Nvidia's CUDA technology – this package works smoother on more mid-range laptops than was ever previously possible. VideoStudio Pro X3 is a big step forward for Corel's video editing platform, with the latest version packing a great number of new features while streamlining the performance of the package.